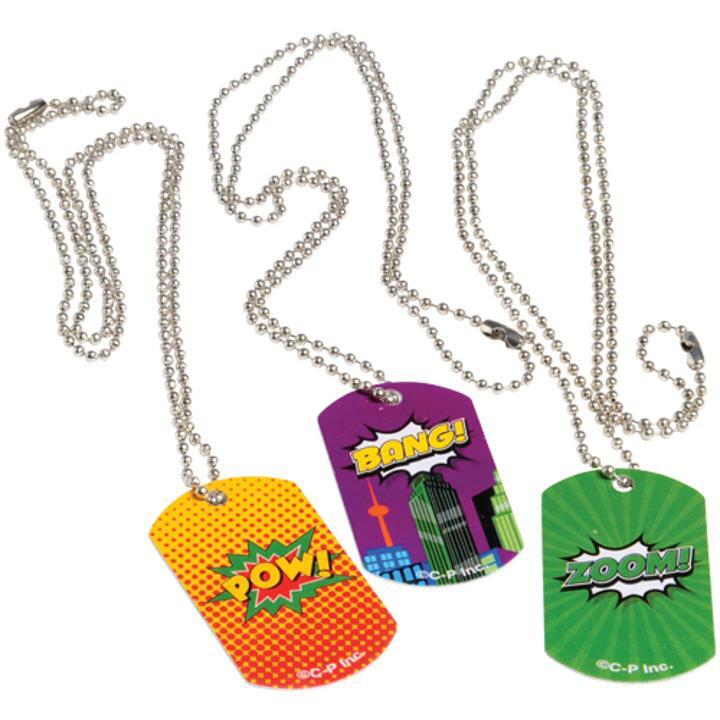 Cheap Superhero Dog Tag Necklaces - 12 Ct.
Superhero Dog Tag Necklaces - 12 Ct.
Give them a unique gift with these superhero-themed dog tags. Decorated with a pop art saying straight from the pages of their favorite comic, these necklaces are a great way for kids to support the superhero fandom. Perfectly sized for goody bags, they also make great party favors for your child's next superhero birthday! L: 6.0 in. W: 0.9 in. H: 4.55 in.